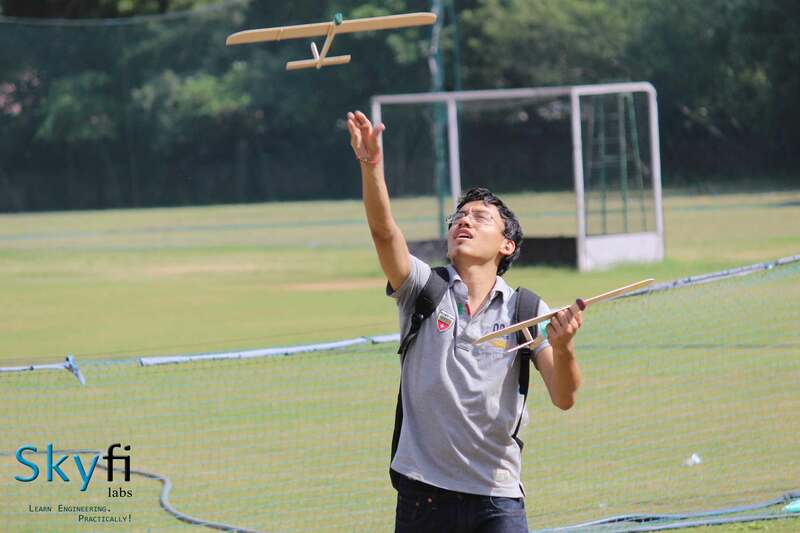 More than 1500 students participated in 6-hour workshop in a format of design-build-fly. 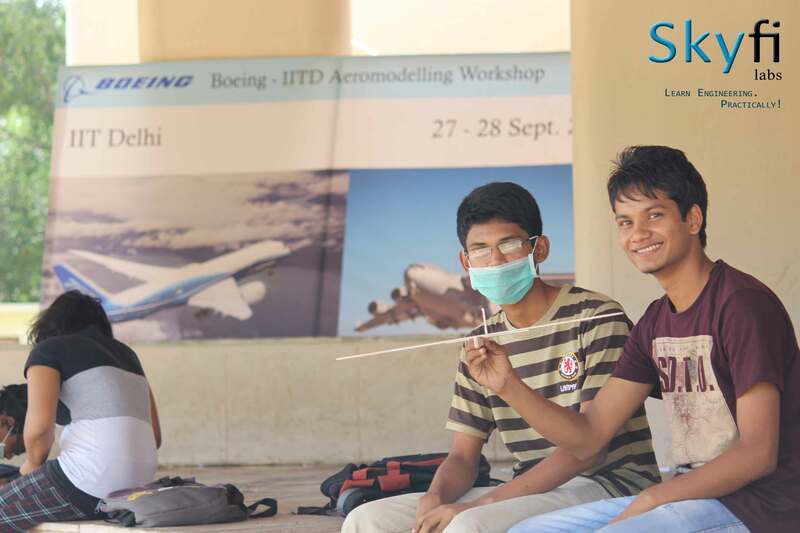 These workshops were conducted as a part of aeromodelling club of IIT Delhi with the help of Skyfi Labs, Bangalore and support from Boeing. These workshops helped the student to earn five units/credits of design and practical experience as a mandatory graduation requirement. What is this Introduction to Engineering course at IIT Delhi? As part of this course, special lectures and workshops are conducted each week. The major motive of these lectures and workshops is to convey the significance of engineering to the fresh graduates. The course is led by Prof. P.V.M. Rao, of IIT Delhi. It is essentially based on the practical and social perspectives of engineering. The program started as soon as the fresher students joined in July, this year. Sky Labs is proud to be a part of this novel initiative by IIT Delhi. AerotriX, unit of Skyfi Labs organized a Glider making workshop as part of this engineering introduction course. What do the fresher students do as part of this course? In the course, every session is correlated to engineering with an objective to increase students’ interest levels in engineering. For instance, in one session, students were asked to pick a social issue from the day’s newspaper and relate some invention in engineering to the issue. Students were divided into groups of six so that they could discuss among themselves to conceive fruitful engineering ideas for solving the selected social issue. 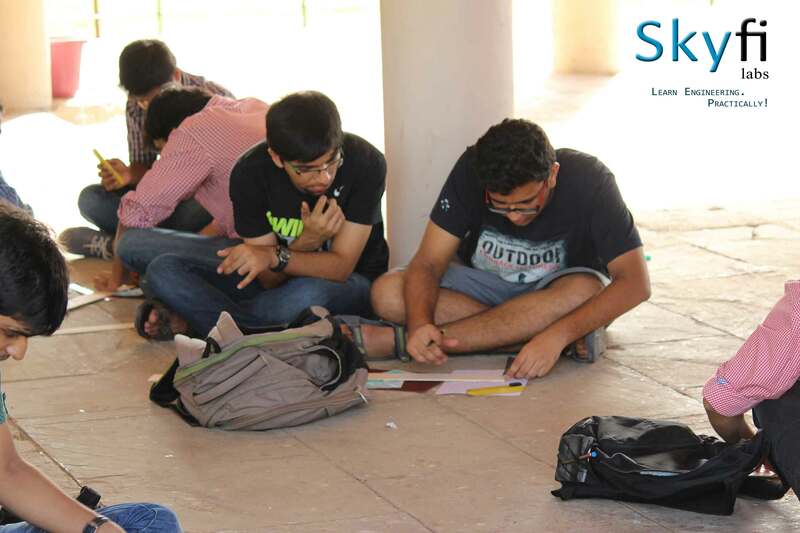 Such brainstorming sessions are truly instrumental in forging engineering thinking in the students’ minds. Each week, the students are given such activities where they are divided into subgroups, and each individual contributes to these activities in some way. What are the highlights of this course? Other interesting sessions include lectures from renowned engineering professionals from different fields and industries. In these lectures, they talk about their engineering inventions and progressive research done in engineering studies. They also discuss how engineering has evolved over the years, how it is right now, and most importantly how it is applied in real-life. On one such lecture weekend, representatives from Boeing were present to talk about engineering innovations and technologies implemented in their aircraft designs. Another week, admirals from Indian Navy’s submarine division explained engineering principles involved in submarines, briefly informing about the construction and usefulness of submarines. Clearly, all these experiences are gold to all these aspiring engineers. How do the students understand the social impact of engineering? Now, coming to the social impact of engineering, it was the representatives from Godrej who clearly left a mark on the students when they showcased a unique refrigerator called as Chotukool - which is available at an astoundingly lower price of one thousand rupees! The summer heat in Delhi can sometimes be unbearable. This ingenious refrigerator can provide some respite to the masses who otherwise couldn’t afford pricier alternatives. The Godrej team explained the idea and the working of the refrigerator. They clearly mentioned how engineering makes all this possible. Talking about social impact, a one of its kind summit was held at the IIT Delhi campus in the presence of international delegates who discussed the current social issues and how important a role engineering plays and will play in curbing these issues. How are senior students at IIT Delhi a source of inspiration? 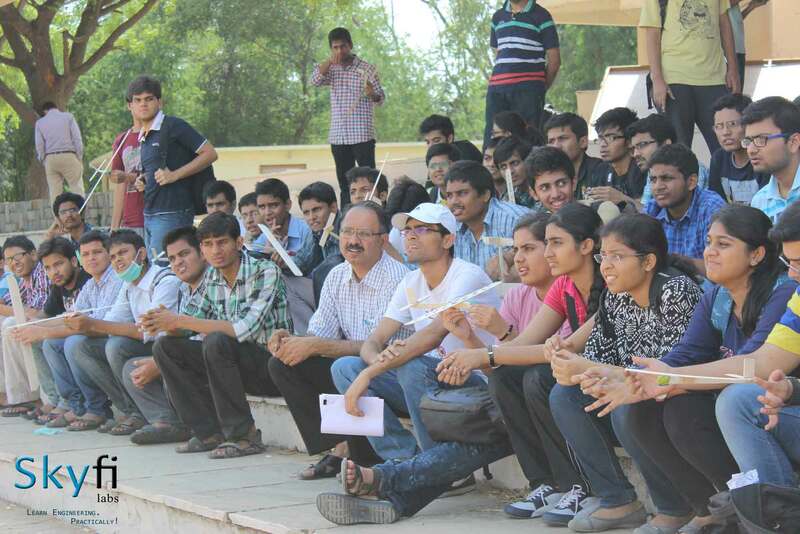 Apart from all these experiences, every week, fresher students also witness home-grown engineering talents of IIT Delhi. 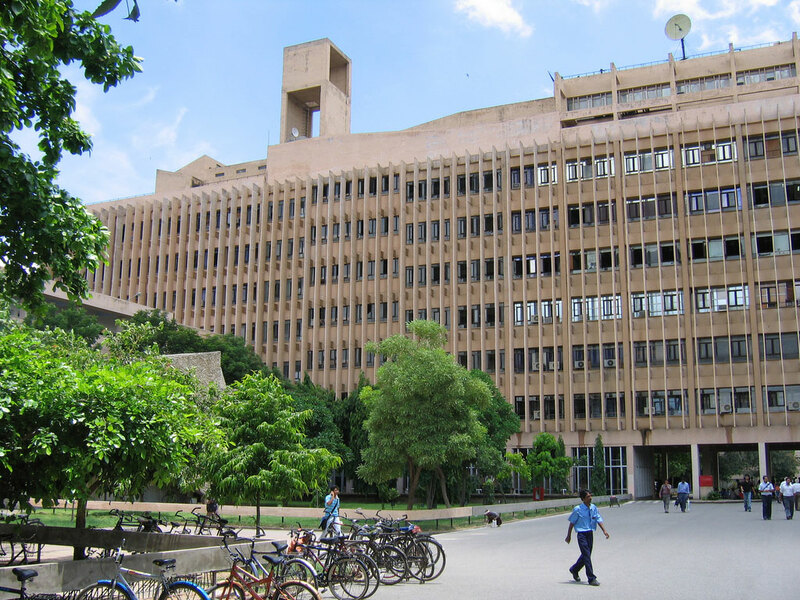 There are several student clubs in the college which are related with various facets of engineering. As part of the course, the clubs showcase their work and share their ideas with the new students. For example, the biotechnology student club at IIT Delhi displayed their invention aimed at reducing air pollution from vehicles. They formulated a bacteria which absorbs pollutants from other vehicles. They are working to downsize the bacteria design to fit into present-day automobiles. Surely, such interactions inspires the students to pursue their engineering dreams by following the footsteps of their seniors. How did Skyfi Labs contribute to the course? The AerotriX Glider making workshop was an integral part of this course. The Skyfi Labs team was entrusted with this responsibility of educating these young brains owing to the fact that they had already taken similar strides in training fresher students at IIT Kanpur. 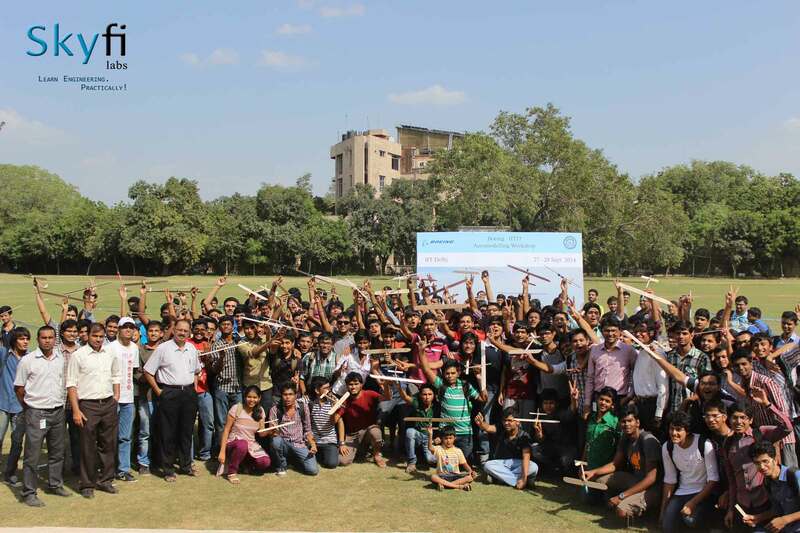 Held on 27th and 28th September, 2014, the Glider making workshop was fun and educating for the students. They were instructed to create a balsa wood glider, with the raw materials provided by AerotriX. The glider aircraft is a simple manifestation of physics and engineering principles. By making their own Glider, students can easily connect the dots between theories and their applications. How the Glider making workshop helps realize engineering? Making something as simple as a Glider can sometimes pose unique challenges. A glider gets all its power from an initial impulse - that is by chucking the glider into the air. So, each and every detail has to be taken care of to successfully build a working glider. Features like symmetry, lift and drag have to be minutely monitored. To create a properly balanced glider, the weights of each section need to be optimized by providing appropriate strength. Air drag is reduced by ensuring that the glider surfaces are smoothly fabricated. Lift for the glider is facilitated by imparting an aerodynamic airfoil shape with accurate angle of attack. Factors like these work together to form a feasible aircraft design. All these exercises are carried out by the students to estimate how multiple engineering decisions are made to get an acceptable result. By experimenting with various parameters, they end up finding efficient solutions to improve the results and comprehend the desired outcome. Overall, this experience helps them setup ground rules for approaching any engineering problem in the years ahead. Why should other engineering colleges follow this initiative? All these experiences from this Engineering introduction course mainly increases awareness among the fresher students. It increases their interest and enthusiasm in engineering learning. It motivates them to do something out of the box, something interesting! If every engineering student could experience this, then we are headed for a better and certain future! Like IIT Delhi, all engineering colleges should put considerable efforts in incorporating such courses into their curriculum so that their students can also realize the value of engineering at a fairly earlier stage!